EU-funded research into diseases like HIV/AIDS, tuberculosis and malaria has had a significant impact on strengthening research capacity in low- and middle-income countries, and it also helped increase knowledge generation for diagnosis, treatment and prevention. It is less clear what effects the funding had on encouraging universal health coverage (UHC), however. This research suggests nine strategies to support the linkage between R&D and UHC, improve awareness of EU-funded PRND R&D, and strengthen the monitoring and evaluation of PRND R&D impacts. Every year millions of lives are plagued by infectious diseases like HIV/AIDS, tuberculosis (TB), and malaria or other parasitic diseases. 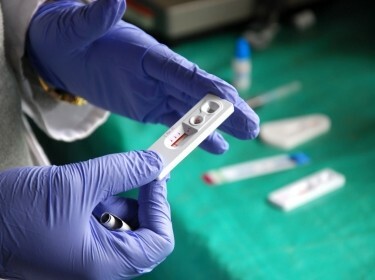 These diseases disproportionally affect those in low- and middle-income countries (LMICs) — where access to good quality health care, safe drinking water and hygienic living conditions are often not guaranteed — and are therefore commonly referred to as ‘poverty-related and neglected diseases’ (PRNDs). The burden from PRND-associated morbidity and mortality often places people in a vicious cycle of poverty and disease. Fighting these diseases thus serves both a social and an economic imperative. EU investment in research for PRNDs has primarily been directed to developing new medicines, diagnostics and vaccines. These are steps that could contribute to achieving Universal Health Coverage (UHC), a pathway that starts with the existence of a product that is proven to be safe and effective, affordable, accessible and of assured quality. Therefore contributions to the development of such therapeutic solutions for PRNDs could foster achievements around UHC and the populations affected by such diseases. RAND Europe and Technopolis Group, with support from Baird’s CMC and Institut de Recherche en Sciences de la Santé (IRSS), were commissioned to conduct a study which evaluated the role and impact of EU-funded R&D in the field of PRNDs. The overarching aim of the work was to evaluate the role of R&D on PRNDs in contributing to achieving UHC and improving population health in LMICs. This is directly aligned to the European Commission’s intention to learn from prior investments to inform future direction. Triangulation and cross-cutting analysis using the evaluation framework across the different data collection methods. Although the United States remains the largest funder for R&D into PRNDs, EU funding has made a significant contribution to basic/pre-clinical research in HIV/AIDS, tuberculosis and malaria research. A total of €1.445 billion was allocated by the European Commission to PRND projects during the period between 1999 and 2013. The funding supported 930 PRND projects, of which 64 per cent were focused on HIV/AIDS, tuberculosis and malaria. The primary impact of EU-funded PRND R&D has been in knowledge generation for diagnosis, treatment and prevention, and research capacity strengthening in low and middle-income countries. Health and research system factors play a significant role in the transition of PRND R&D into impacts on UHC. However, due to the complexity of the pathway, the impacts on UHC are difficult to evidence and attribute to R&D efforts. In addition, the current mechanisms in place to monitor impacts from PRND R&D projects, especially related to UHC, are considered to be insufficient. One of the most significant gaps in the pathway highlighted by interviewees was the lack of implementation science or health systems research. There was low awareness of EU framework programme funding efforts among stakeholders outside Europe, which poses challenges for its uptake and coordination with other funders. The inclusion of different stakeholders from LMICs at different stages of the health research and innovation pathway is crucial to the adoption of new ideas and technologies emerging from PRND R&D efforts. The findings suggest that there is a need for greater focus on actual knowledge exchange and transfer between LMICs and high income countries where 81 per cent of the EU-funded research into PRNDs is carried out. There is a need for more ‘pull’ policy incentives to help bridge research and UHC impacts. This would help to provide a market-driven incentive for research efforts. In particular, there is a need to facilitate the uptake of products developed through PRND research. Despite the gaps in the health innovation pathways for many PRNDs, it is important to recognise that research funders, such as the EU, cannot be expected to cover all parts of the health innovation pathway for all diseases across all countries. For future research, there are likely to be a series of trade-offs, which may need to be made in relation to how the European Commission funds research across the portfolio. The global health research funding community should establish points of strategic leadership, or stewardship, across the health innovation pathway. The European Commission should explore multiple routes and mechanisms for engaging multiple stakeholder groups in research and translation across the innovation pathway and different health and research system contexts. The European Commission should explore new funding mechanisms and procedures, which explicitly support and encourage researchers to think about and engage with downstream impacts, including UHC, from the beginning of their research projects. Develop a dedicated online portal and/or PRND observatory function which monitors and tracks all EU-funded PRND R&D and has links to open source publications on findings. Introduce skills building workshops, online or in person, to enable researchers to communicate the outcomes of their work to policymakers and any other interested parties through the use of social media and in-person communication, rather than relying on non-academic audiences to find academic publications. Direct European Commission engagement towards stakeholders identified in this research who wanted to know more about EU-funded work, but did not know how to find information. The European Commission should consider a suite of indicators along the entire health innovation pathway which will demonstrate the EU’s contribution to UHC, but does not use UHC impacts as the sole indicator of translational research success. Develop an impact-monitoring dashboard which could be used to monitor progress along an entire health innovation pathway. Develop robust mechanisms for collecting and tracking data on EU-funded R&D projects. Gavin Cochrane, Molly Morgan Jones, Sonja Marjanovic, Calum MacLure, Peter Varnai, Thyra de Jongh, Cristina Rosemberg, Francie Sadeski, Soheir Dani, Anoushka Dave, et al. The overarching aim of this work is to evaluate the role of R&D on PRNDs in contributing to achieving UHC and improving population health in low- and middle-income countries. An evaluation of the Wellcome Trust's African Institutions Initiative (AII) shows several successes as well as recommendations for the future. The AII funds consortia to build sustainable, independent health research capacity at African universities and research organisations, to promote research collaboration and to train individuals for research careers in Africa.